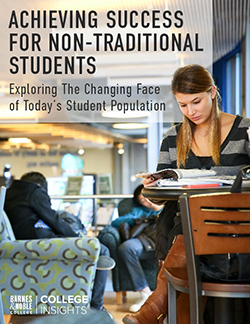 The make-up of the typical student attending an American college or university is changing. A quarterly report released by the U.S. Immigration and Customs Enforcement’s Homeland Securities Investigations, establishes more than 1 million international students enrolled in nearly 9,000 U.S. schools as of April 1, this year, while an Open Doors report from the Institute of International Education reveals a record 886,052 international students joining the national student body during 2013-2014, representing an eight percent increase over the previous year. Those kinds of statistics can raise some important questions about how colleges can support the needs of international students and still deliver the optimal college experience and academic result. At Boston University (BU), over 20 percent of this year’s incoming freshmen are represented by international students, with a large percentage coming from China. It puts the Boston campus in keeping with a nationwide trend where Chinese students accounted for 60 percent of the foreign student growth last year. In addition to learning language and cultural differences, Boston University realized that these students, in particular, need more help in getting the most from their university experience. “BU does an outstanding job of working with international students through their University Orientation for International Students program,” says Barnes & Noble at Boston University Bookstore Manager, Steve Turco. “But because our international students tend to come to campus just one week before the semester starts, we had to rethink how the bookstore reaches those international students to better support them,” he says. Supporting the University’s own on-boarding and familiarization initiatives, the bookstore is addressing the problem through a new program specifically designed to help better orientate its incoming international students. 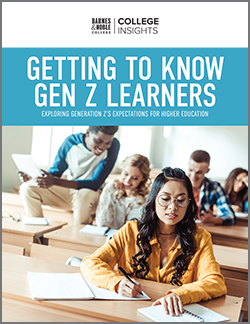 “What we wanted to achieve was a program that could help make that whole process a little less intimating.” says Sherry Fang, Consumer Marketing Coordinator at Barnes & Noble College. For Boston University, the strategy started out with a custom created email campaign detailing all the services the bookstore had to offer that incoming international students could familiarize themselves with while they were still in their home country. “Before they even arrive in the United States, they can shop online without having to worry about international shipping or needing to pack supplies before they come,” she says. “They can pick up everything they ordered when they come to the store,” she says. A bigger challenge is helping international students with the textbook ordering process, and Fang has developed an informational brochure for these students, available through the University’s registration integration platform. Communicating with Chinese students can also present some other cultural challenges, not the least being that Chinese citizens are unable to access Facebook in their home country, together with the regular communications the bookstore posts on that platform. As a work around, Boston University is providing bookstore messaging through the Chinese language micro-blogging website, Weibo, and eventually, there will also be a digital program offered through the Barnes & Noble College student blog, The College Juice, with blogging specifically for international students. The program has been running throughout this summer at BU, but Fang is also piloting limited outreach campaigns to support international students at other campuses. “It’s developing into a larger, more scalable strategy because of the overwhelmingly consistent growth of international students in the college population,” she says. At New York’s Hofstra University, for example, campus mentors bring foreign students to the bookstore to explain some of the many cultural and social opportunities that may not seem immediately intuitive to them. 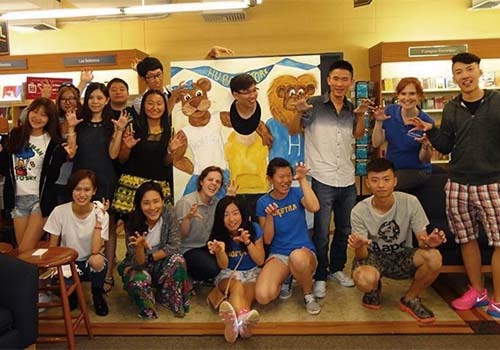 The Hofstra University Bookstore welcomed its first group of International Students to campus. Students were treated to New York style pizza, offered one-on-one help with textbooks and merchandise, as well as the opportunity to get to know each other.